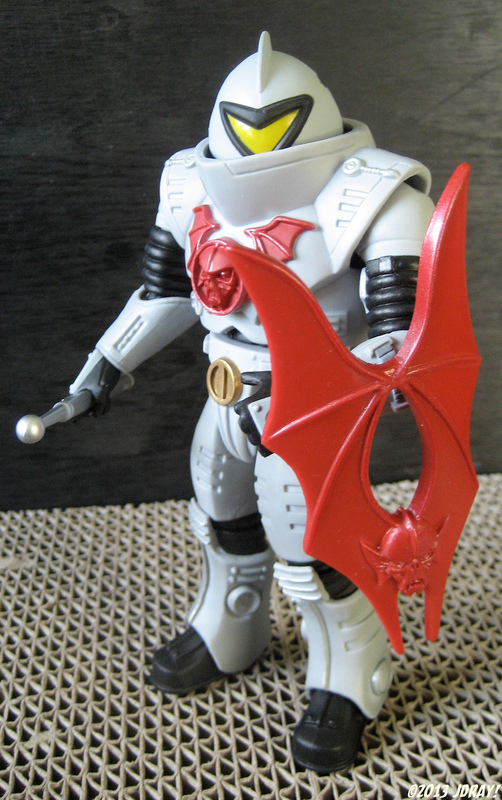 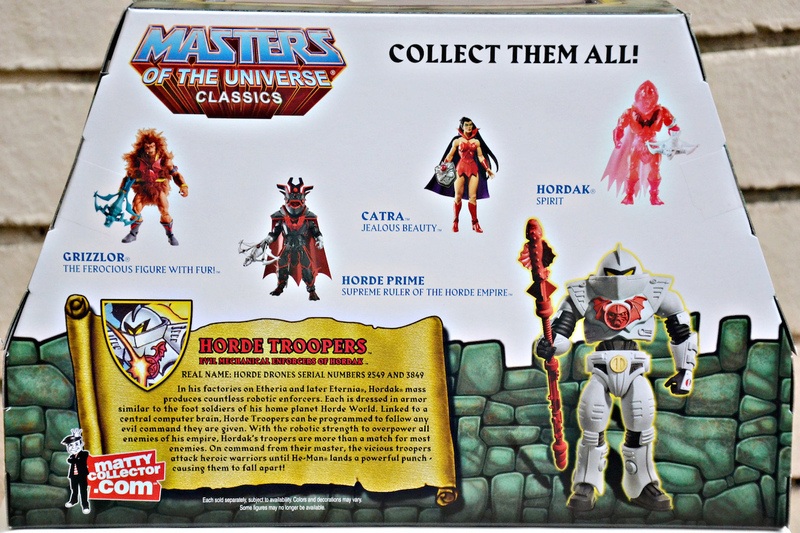 In his factories on Etheria and later Eternia, Hordak mass produces countless robot enforcers. 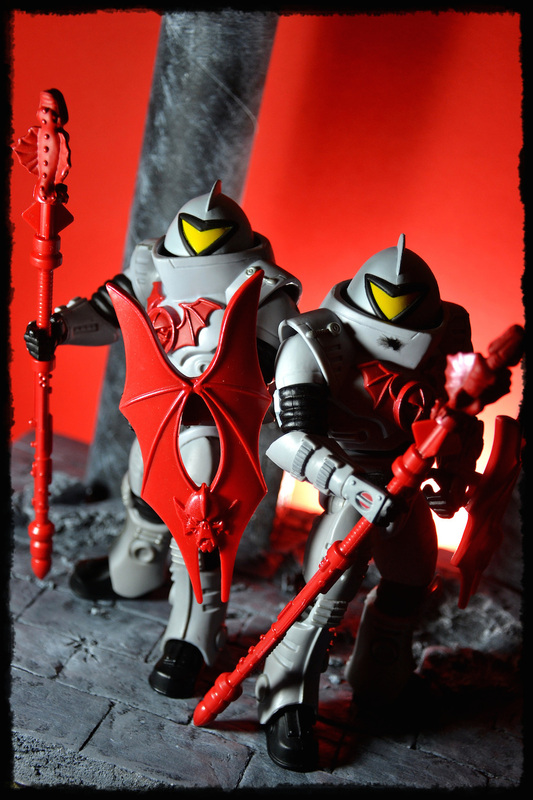 Each is dressed in armor similar to the foot soldiers of his home planet Horde World. 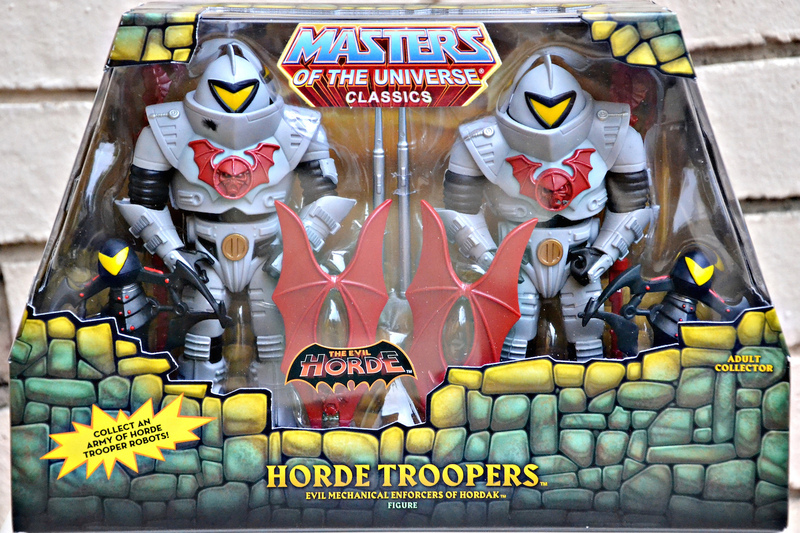 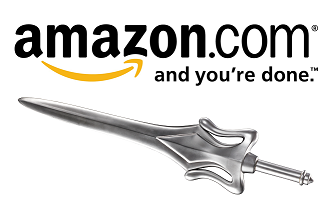 Linked to a central computer brain, Horde Troopers can be programmed to follow any evil command they are given. 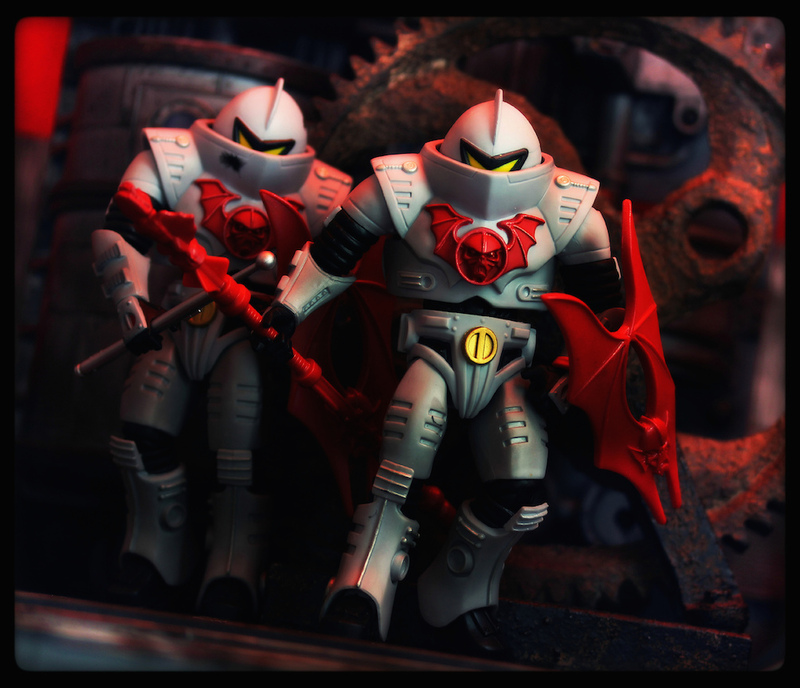 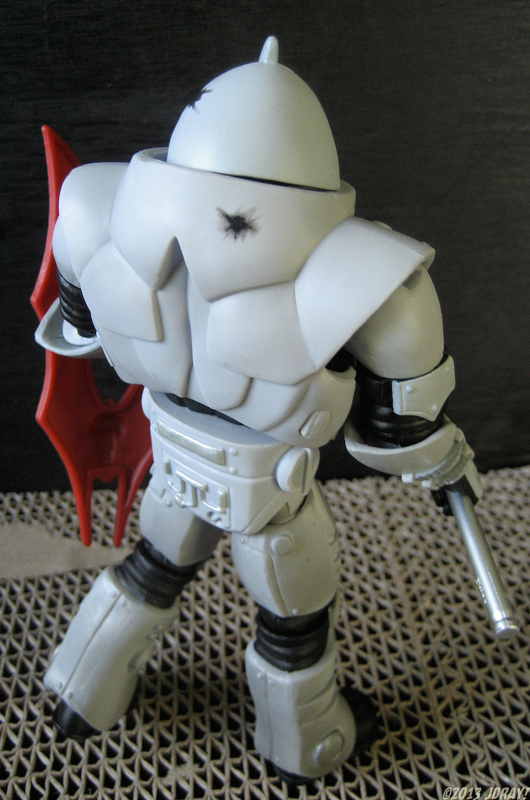 With the robotic strength to overpower all enemies of his empire, Hordak’s troopers are more than a match for most enemies. 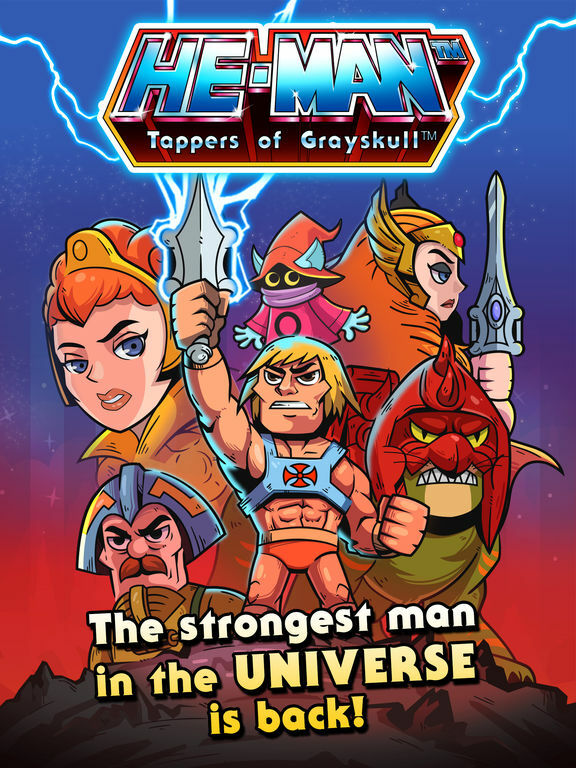 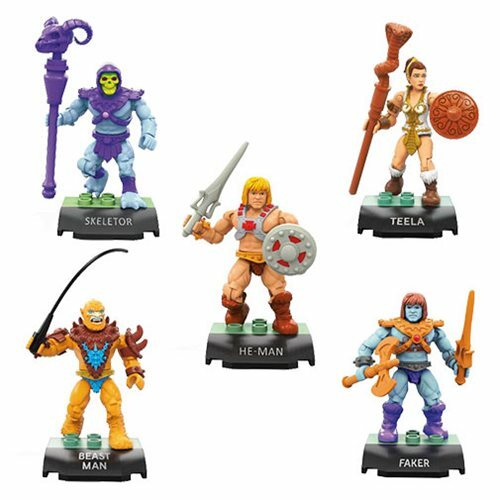 On command from their master, the vicious troopers attack heroic warriors until He-Man lands a powerful punch causing them to fall apart!